Tomas Sakalauskas did not want to work in IT anymore. Not everyone does, and in this wonderful age of internet-enabled self-improvement, no one is tied to a single career path for life. In 2012, he decided to abandon his business and try out video game development. After a few years spent on unsuccessful projects, he eventually created the title that would secure his newfound freedom long-term - the physics-based smash hit Human: Fall Flat. Having successfully emerged from Early Access, the game has since been released on Steam, PlayStation 4, Xbox One and even Nintendo Switch, thanks to the publishing support of Curve Digital. It has impressed audiences at games shows and conventions around the world and been played by celebrities on UK TV game show, Dara O'Briain's Go 8 Bit. And today Sakalauskas is able to announce it has sold more than two million copies worldwide. We caught up the designer behind this indie sensation and his one-man studio No Brakes Games, to find out more about the journey towards this milestone. 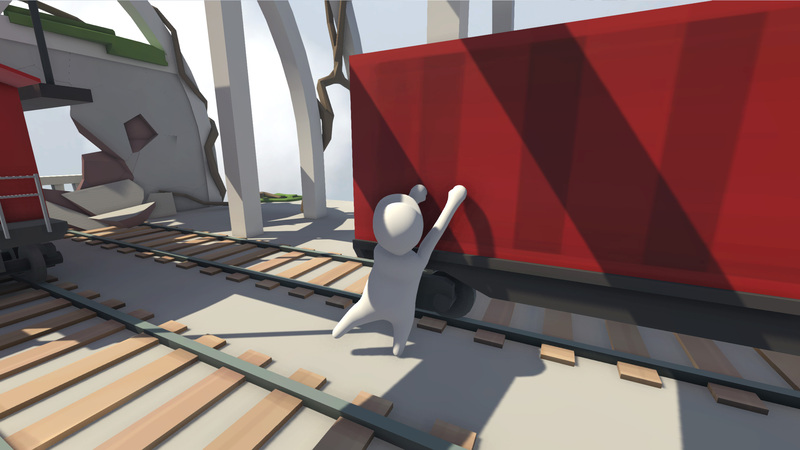 "Human: Fall Flat was my last chance at games development," he tells GamesIndustry.biz. "Before that I was making mobile games, so I spent two years with a team on a mobile racing game but I had to let the studio go because we ran out of money. If Human: Fall Flat did not [take off], I would have returned to business software development. "But now I no longer have to worry about a different career path. I can stay in games development, which is what I always wanted to do." There are tales of indies whose lives have been transformed by a single hit, trading in their runarounds for sports cars, but Sakalauskas tells us his personal life is "pretty much like it was beforehand" - albeit funded by a more satisfying career. "Human: Fall Flat was my last chance at games development. If it did not [take off], I would have returned to business software development"
"I used to run an IT business, so it's not that I haven't been operating these kind of budgets before," he says. "While developing Human: Fall Flat, I was really low on personal finances. Before I started receiving the first cheques from [game sales], I think I had €1,000 across all my accounts - that's quite dangerous, given that I have three kids to support and a mortgage to pay. I was getting a little bit nervous at that time, but then Itch.io sales started coming in and I could relax a little bit. But it wasn't on the level that showed any long-term stability. "I can now afford things I was deprived of over the past four years while building the game. Things got back to normal, more and less. With current sales, I could afford a sports car - but I already had one, so now I can install a rollcage on that and do some racing again. But no dramatic [purchases] on the way at the moment." You would think that getting down to your last €1,000 would cause tension at home, particularly given how competitive the games market has become. There was no guarantee Human: Fall Flat would reach two hundred sales, let alone two million, but Sakalauskas reports he was backed up by "tremendous support from family." "That's why they're in the game credits as well," he says. "I felt no pressure from them because I could always go back to [working at] IT companies. It was not life or death, it was just a career choice and I really wanted to be in games, which is why I continued until the very last moment. Of course I had a lot of faith in the game when it launched on Itch.io, so I thought everything would be fine. I'm happy that it all went that way." "Before I received the first cheques, I had €1,000 across all my accounts - that's quite dangerous with three kids to support and a mortgage to pay"
Perhaps the biggest barrier to indie success is not game quality, but discoverability. With countless Sakalauskases hoping to move into games, how could he ensure Human: Fall Flat attracted the audience he needed? The answer, it turned out, was YouTube. "I got in contact with [various YouTubers] via Twitter - but I was not trying to reach the top channels, just some of the ones who are into games," Sakalauskas says. "Initially I gave the game to small YouTubers, with channels under 100 subscribers, just to start getting noticed and most importantly to get playtesting footage - being a one-man studio, I cannot hire enough players to sit in a one-way mirror room and be taped. With YouTubers and small streamers, it was a nice collaboration because they got to play a new game and I got all the video footage, which is core to game design - you need video footage of people playing your game. It was a win-win situation. "Then there were viewers of those streamers who started promoting the game to streamers who were a little bit bigger, and then much bigger streamers, and its snowballed from there. My first Twitch broadcast was my family watching and one friend of the streamer, and it's been magnificent fun to see that [grow]. So don't ignore the small people making videos out there - they can be as helpful for you as you can be for them." "My first Twitch broadcast was watched by my family and one friend of the streamer, and it's been fun to see that [grow]. Don't ignore the small people making videos out there"
Sakalauskas believes that Human: Fall Flat is just one of many titles that proves one-man developers can still make their mark on today's industry. They may not be able to create the same premium-style products as big studios, but the chances of succeeding - to the point where it can sustain your career - are just the same. In fact, they could be higher if one-man studios invested even more time and energy into honing their craft. 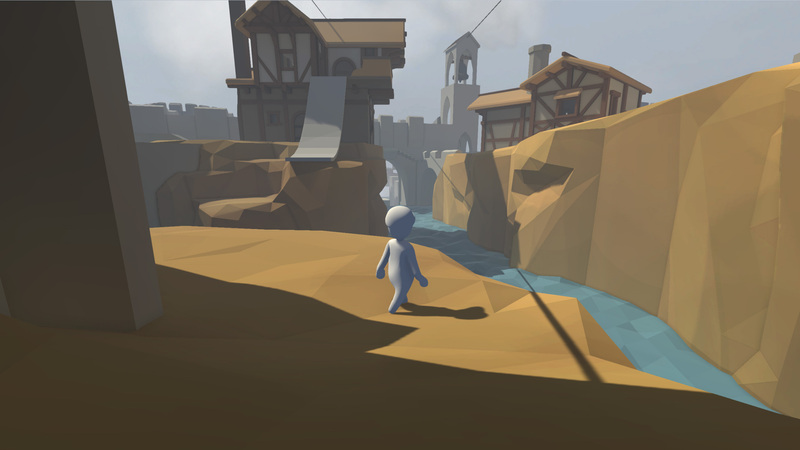 "The reason the rate of one-man successes are relatively low is because most of those are first-time projects where they are learning about game development and design, so of course their success rate is quite low," Sakalauskas says, reminding us of his years spent creating mobile games prior to Human: Fall Flat. "If you check SteamSpy numbers, there are around 30 to 40 games that sell more than one million year in, year out. Yes, more games are being produced [each year] but in general, every year 100 people make good games. That did not change from 2013 to 2016 - I haven't check last year's numbers yet." But with more than 7,000 games released on Steam last year alone, it's getting harder and harder to be heard over the noise and become one of those 30 to 40 hits. Sakalauskas' advice is that while quality is important, fresh ideas are the real key to success. Crucially, a firm understanding of game design is required. There are already plenty of books and courses available out there, and anyone planning to make a game alone needs to be ready to invest in all this and more if they want to content with multi-person teams. "The rate of one-man successes is relatively low because most of those are first-time projects where they are learning about game development and design"
"If you just get Unity and buy an online tutorial, the chances that you'll make a hit are not very great," says Sakalauskas. "But if you know things about game design and playtesting, if you have interesting mechanics, the chances are quite good." He continues: "The only way a small developer can make something that stands up is to make it a really unique experience. I was playtesting and retooling it a lot to make it fun to play. Of course, that doesn't guarantee anything - all you can do as a game developer is essentially buy a lottery ticket, and you chances are based on luck. Will it go [big] or not? You never know. But you increase your chances by making a unique game, something that you would want to play yourself. "I wanted to make a game that was a child of Portal and Limbo, with a quite linear way to progress and Portal-sized puzzles. But after seeing people trying to hack the puzzles, levels started growing bigger and the focus shifted to alternative paths and connecting things together to allow speedruns. I ended up with totally different design goals compared to what I had planned initially." "If you just get Unity and buy an online tutorial, the chances that you'll make a hit are not very great"
Herein lies another vital lesson learned from Human: Fall Flat - listening to your community. As Sakalauskas says, seeing that his YouTubing playtesters were more interested in finding ways around puzzles and experimenting with the figures changed his priorities. As he drew on more feedback, he attempted to build the game his audience was expecting, not just the one he wanted. Of course, taking in every comment and suggestion while building an entire game on your own can be a challenge. "In the end, I'm the game designer so I have to filter that feedback - you cannot just take that random comments, throw the ideas into the game and see how it works," says Sakalauskas. "I usually read everything on Steam, although when I'm working on new features like I am now, it can be a month or two where I'm not looking at feedback because it can easily throw you off your plans. "Eventually, I got a few nice members of the community to take care of the majority of the feedback - so if someone is having difficult playing with a certain controller, it can be something the community takes care of." That community has continued to be the driving force behind how Human: Fall Flat has evolved. Back in November, Sakalauskas released a multiplayer update that enables eight players to enjoy the game simultaneously. Initially, he was reluctant to build multiplayer on this scale, but when some players experimented with implementing it themselves with Nvidia tools, he realised it not only feasible but could be popular. 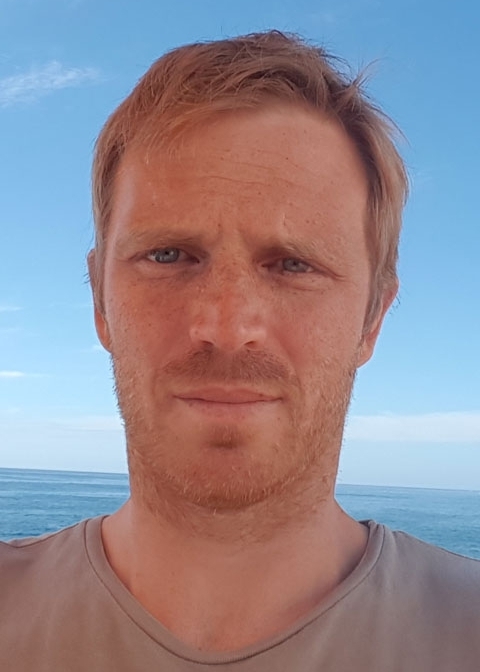 "Most of the features in Human: Fall Flat come from community feedback - not necessarily exactly as expressed by the community but by reading a lot of the feedback you can get a general idea of where your audience wants to take your game," says Sakalauskas. 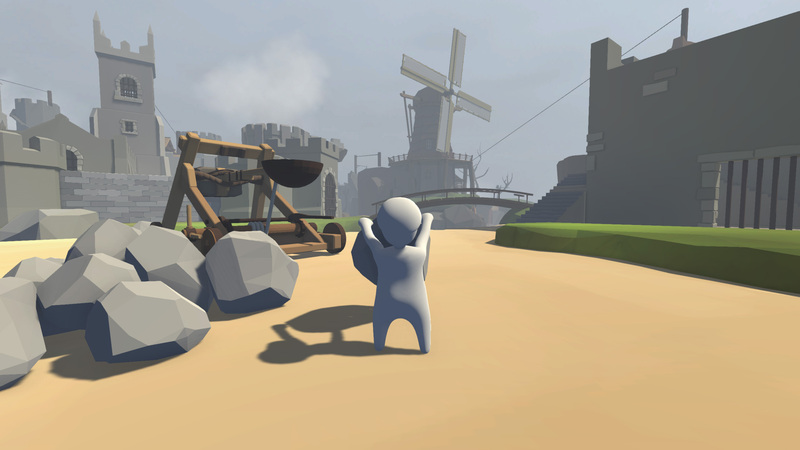 Next on the agenda for Human: Fall Flat is Steam Workshop support, something Sakalauskas hopes will further invigorate his audience into creating their own content and forging a way for the game to live on - even without him. "I would be redundant at that point in the process," he laughs. "I would really love to see the game carry on that way." Until that's finished, he isn't even considering what his next project might be. Instead, he's just happy to know that making another game is an option for him, buoyed by the success of this first hit. When asked if he would have done things differently with the knowledge he has today, Sakalauskas maintains that Human: Fall Flat is everything he wanted it to be and more. "I only wish I knew mobile was so hard five years ago when I started going in that direction," he says. "I spent too much energy before working on Human. On the other hand, I got a lot of experience so maybe I would just keep everything the same - I'm quite content with where I am now."